A few months ago I was introduced to one of the newest haircare brands on the market called Design.ME. The brand originates from North America and has only just landed on british waters, or shall I say Sally Beauty.. They currently stock six products at the moment; Puff.Me, Puff.Me Light, Powerdry.Me, Fab.Me, Hold.Me and the only hair tool in the range- the 2" Round Brush. I have had the pleasure of trying out three of them. One of my favourite things about this particular brand is that it's not only cruelty-free and vegan friendly but their products are also free from the ingredients that irritates my hair and scalp the most(parabens and sulphates). This makes me super happy. Before we get into it, I want to touch upon how pretty the packaging is. It's very fun and colourful with each bottle being a different pastel colour. It's extremely cute and very eye catching. I would certainly be attracted to it if I was browsing through my local beauty store. Out of the three hair products that I've been trying out, this is the one that I was most intrigued by, but I also had some doubts too as it claims to reduce the time you spend blowdrying your hair by 50%. Now, to me that is a big claim, and it would be extremely disappointing if it didn't live up to that. Luckily it did(kinda), and I am pleasantly surprised. I have spent the best part of maybe five years growing my hair out after using numerous box dyes and bleaching my hair. I am now at that stage where my hair is in a good place and in the best condition it could be, and I am so happy with that. The only downside of having long hair is the time I have to spend blowdrying my hair after I wash it. It can take up to 20 minutes to fully blowdry my hair, and to me that feels like a lifetime in the moment. 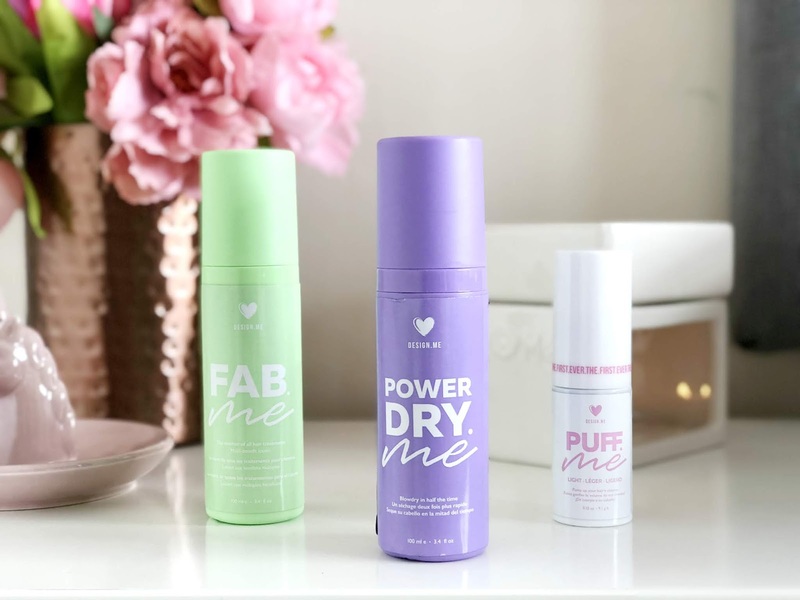 Since using Powerdry.Me my hair takes a little less time to dry(up to 15 minutes rather than 20) which is still quite good. Not necessarily 50% off, but I'll take what I can get. I literally dowsed my hair in this, from roots to end after every hair wash. It is unlike anything I've used before. It's quite a light mist but everytime I used it I could see water droplets falling and sitting on my hair. I then brush through and blowdry as I usually would, and my hair honestly looks and feels so different after using it. My hair feels much more softer and smoother. It is quite incredible. I haven't stopped using it lately. There are two versions of the Puff.Me. There is one for thick hair and another for fine to medium hair. I have quite fine hair so the Light version was the most suitable for me. Puff. Me Light is a volumising powder which you can apply straight to the roots of your hair to add thickness and volume. The first time I tried it, I accidentally made the mistake of pulling the pump off while trying to remove the lid so you can imagine the mess I made(oops!). It's best to be extra careful upon opening. It is advised that you spray the powder 2-4 inches from the roots of the hair(which I did do every time). When I sprayed it you could see the powder being dispensed in a cloud like form. I really wanted to like this as my hair is seriously lacking in volume but I really disliked how it made my hair feel. It felt a little greasy and I wanted to wash it out straightaway. It just didn't feel nice at all. This may be appealing to some but unfortunately it's just not for me. After washing my hair, it can easily tangled up and so I always use a leave in conditioner to help me untangle it before blowdrying. It has always worked a treat, but lately I've been using Fab.Me to help me untangle the disastrous knots in my hair, and it seems to do a great job too. I don't always use it before blowdrying though. Harrison likes to have a tug of my hair every now and then, which can cause my hair to get tangled up. A little spritz of this and all is well and good again. It leaves my hair feeling soft and hydrated. It smells wonderful too(as does the rest of the range). Have you tried anything from the Design.ME Hair range before?